Following on from the success of the Olympics 2012 hard set graphics that Hive designed, we were approached again by the BBC. We were asked to design a scoreboard for the European Athletics in Zürich 2014. 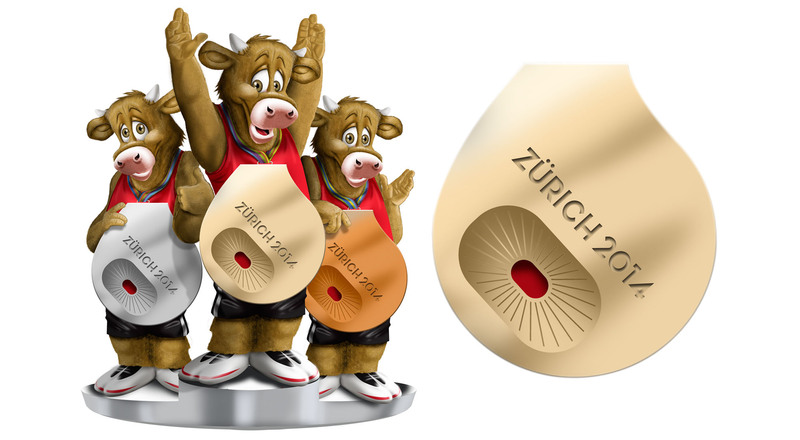 The design was based on the mascot of the Zürich games; ‘Cooly’ the cow. We created three high quality illustrated versions of him wearing each of the medals; Gold, Silver and Bronze. Each of these medal were printed on magnetic material. This was so magnetic images of the winning athletes could be attached to the scoreboards each time a medal was won. Having these images magnetic, provided the added advantage of being able to move them around as more medals were won. The scoreboards were created from a lightweight material. This made them easy to move around the set and were supported at the back. They were supported by a hidden strut to give them the stability required. These were also required to be designed and built in a very short turnaround in order to get them transported to Zürich in time for the games. 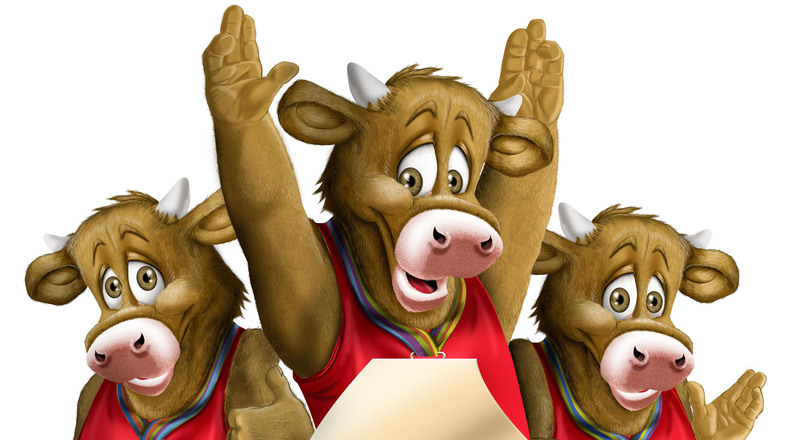 The scoreboard was used in the studio during live coverage of the athletics and were a popular and fun feature of the show, a cow bell was also rung to celebrate every time a medal was won to add a further level of interactivity. If you would like to find out more about our hard set design & construction please contact us.